They say age is nothing but a number but a young woman identified as Oge has people questioning her partnership with a much older man, after photos from their wedding emerged online. A Facebook user identified as Sylvester Sunny Nwodo shared photos of Oge and her man on social media and it sparked several reactions from Nigerians. 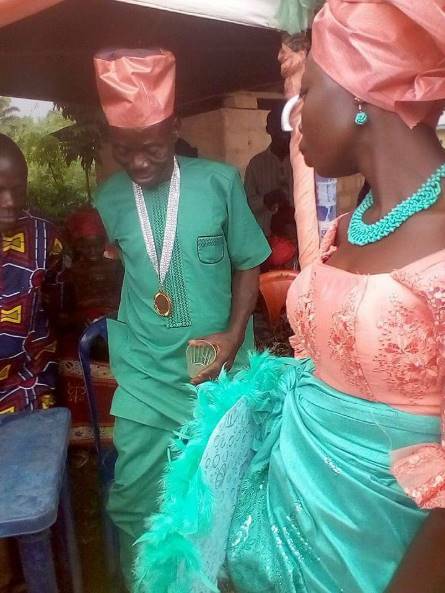 The unusual couple tied the knot in Aguta local government area (LGA) of Anambra state and from the photos, it is clear the man is decades older than his new bride. While settling with an older man is not a crime,many seem to believe that the man in question is to too old for his young bride. While some believe he is already a grand father and is definitely too old for his woman, others think love can transcend anything even age.